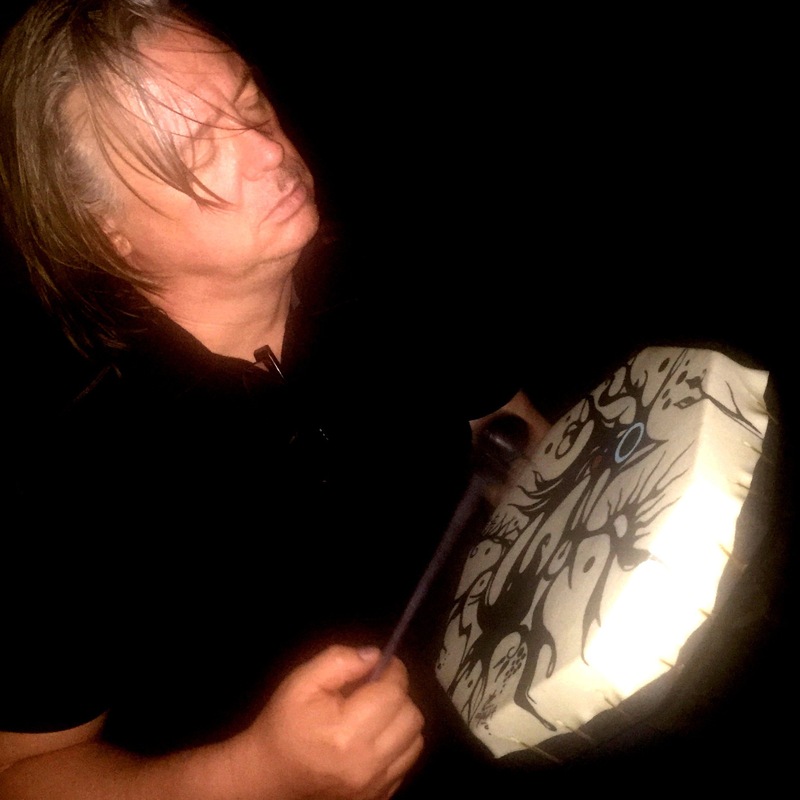 This man and his Auracature drum are seldom far apart. Whatever comparison or description, Sterling lives in the now. He doesn’t assume the identities or acalades of such greatness held by others. Although he is flattered by such references, he does not use such comparisons to distract him or to hold him up higher than others. He doesn’t even view that he is gifted. All he knows about his abilities and divine connection is that he was born this way. Up until a few years back, he thought everybody was like him. He was shocked when he was told otherwise. He believes that he is him in this life and he embraces this current moment as Richard “Sterling Sinclair” Chapman. 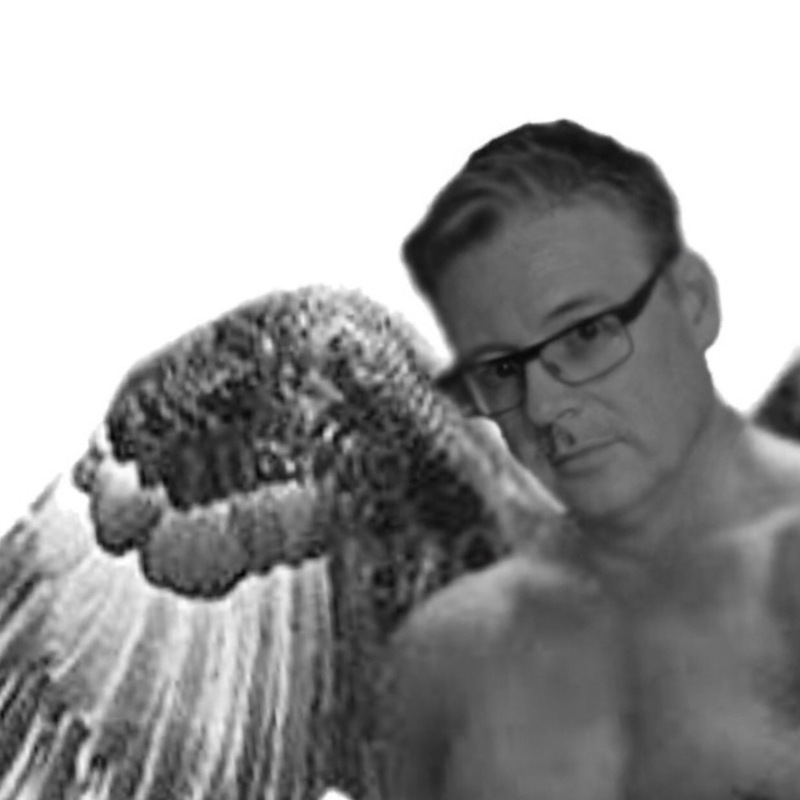 Sterling identifies as a gender-fluid angel on a quest to earn his wings back. He views this life as his only human lifetime – after being on earth a few times before as dragons (one being a blue peruvian water dragon). 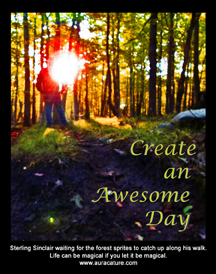 He has aspired to be an “everyday” guy his whole life. As you can imagine, it hasn’t worked out that well for him. He has not yet (at 50 years old) realized that aspiration. When you first meet him, you sense something tingly. When hugging him, you can feel all of your broken pieces warmly fall back into place. The skills and energy he has are purely innate. He did not train to be a psychic healer. He initially went to University to become a medical doctor and after a brief stint on a paliative care wing he focussed his studies on Organic Chemistry. Sterling is a down home country boy who loves to chat, have a drink, eat a really great burger and laugh and smile till his belly hurts. If you don’t understand, just visit with him, he has a habit of answering your questions before you ask them OR suddenly changing topic in conversation because your mind just went off course and thought it. Be assured that Sterling does not research you or gossip about you – it is him just being him. Can you tell, he does not like talking on the phone? The follow are 2 Bios: one Spiritual and one Physical. After reading both, you may question if there is a difference in Sterling’s life. 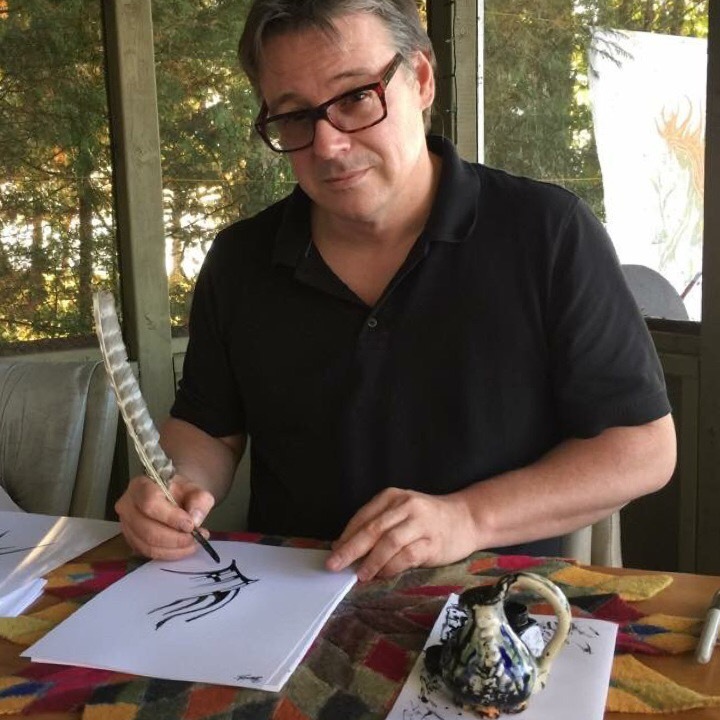 Sterling Sinclair is a Universal Programmer, Prophetic Oracle Channel, abstract Indigenous line artist, and a creative counsellor from Tweed, Ontario. He does not identify as “human” or having a gender. He views his and all of our existence as being a manifestation of a “God Engine” that writes our multiple realities. 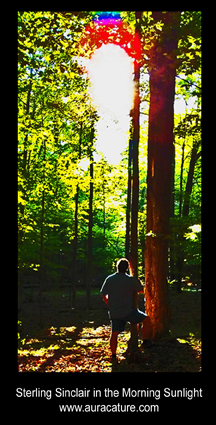 His specialized work of inter-dimensional channeling, spirit retrieval, gift activation, simultaneous lives time loop navigation, orb photography, and paranormal mediation eventually got him known as the “Psychic’s Psychic.” His attention to manifestation is not that we manifest what we need when we know that we need it – we rather – manifest the reality prior to our awareness of our need. He approaches his work with the perception that since our reality is not real, we can pre-exist it and command our reality into formation. Sterling is, let’s say, the guy you go to for really strange stuff. 40% of his clients employ his services because they fear being “locked up” or considered “crazy” by psychologists and psychiatrists. 30% of his intuitive counselling clients claim to be space alien abductees and10 percent claim to either be alien hybrids or angels living a human manifestation. He is the kind of person who believes that anything is possible and his clients often say that they feel safe telling him about anything. 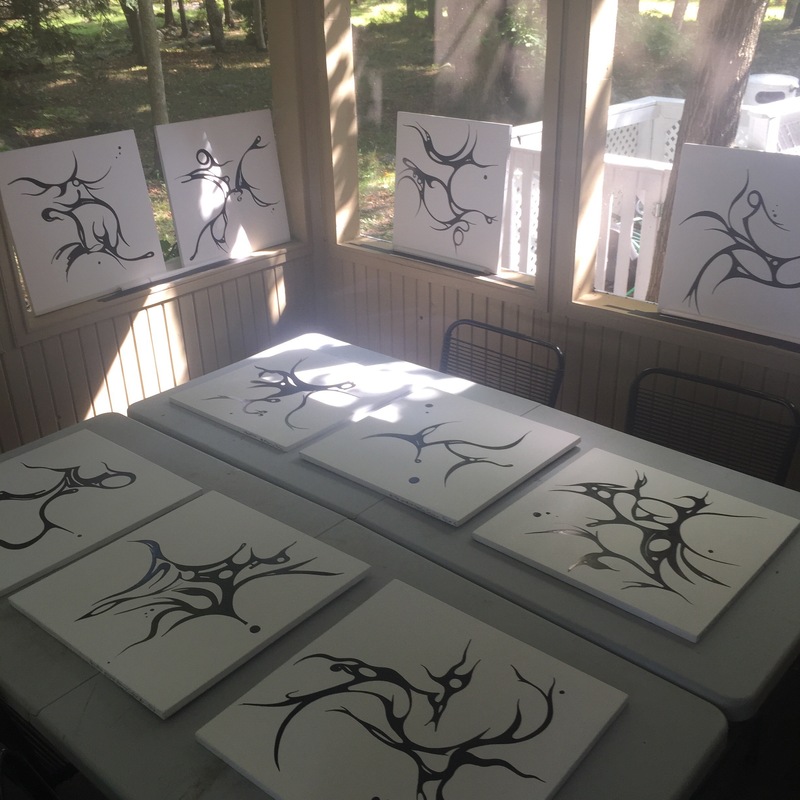 Auracature art is a spontaneous, “One” Creator centered, viscerally guided art form that pre-exists the creative process. 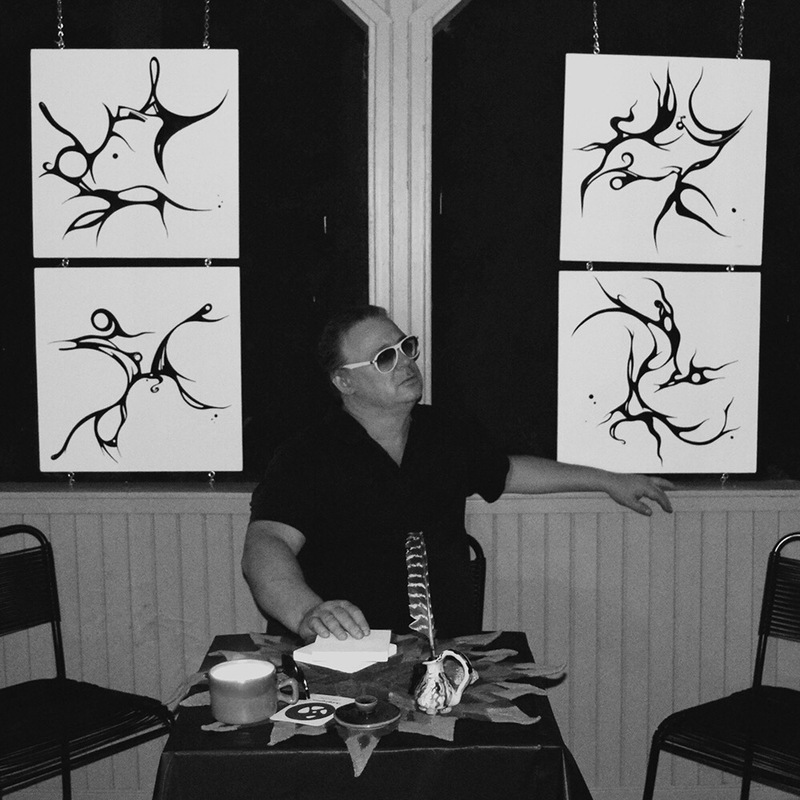 Auracature art blends the ancient artistic styles of the Haida and Polynesian peoples. 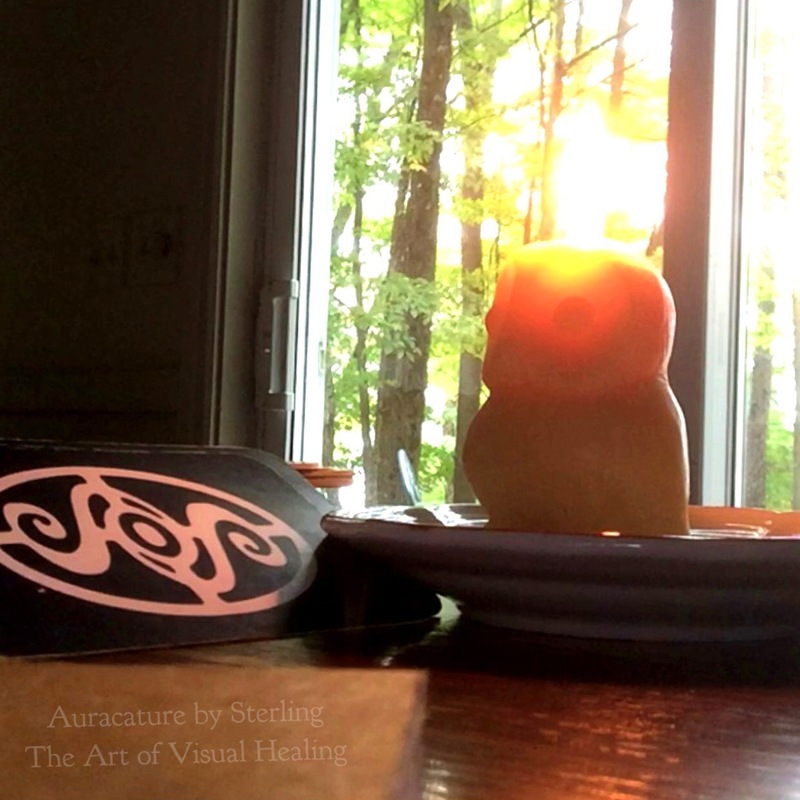 For Sterling, Auracature is inspired by the human spirit, nature, and universal creation. 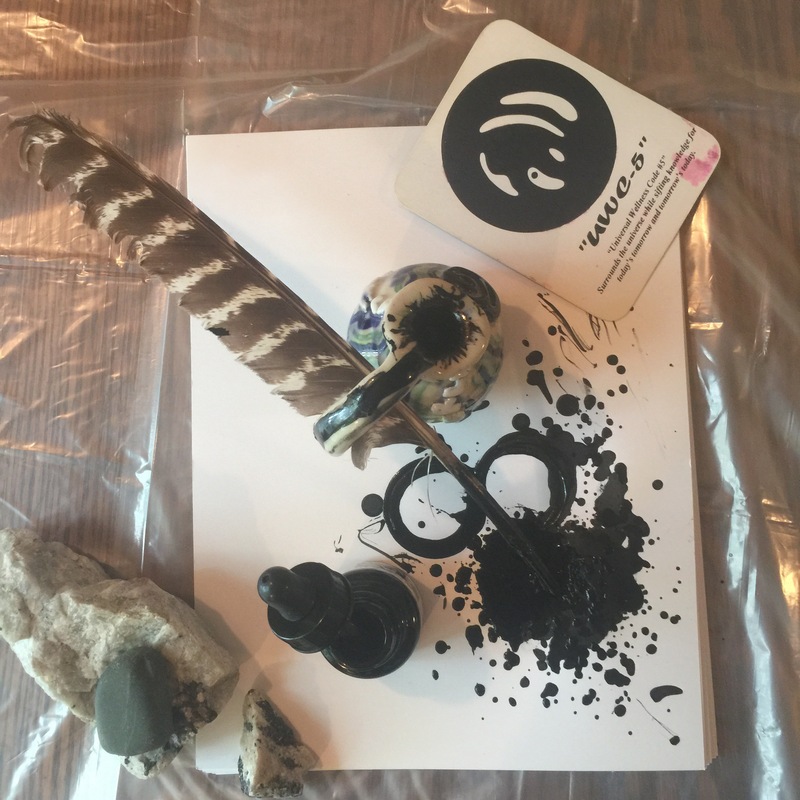 It requires the artist to tangibly “feel” the connection between the ink and his/her body. If Auracature art were considered to be a type of Spirit Art, it would be a stylized, organic spirit art on steroids. 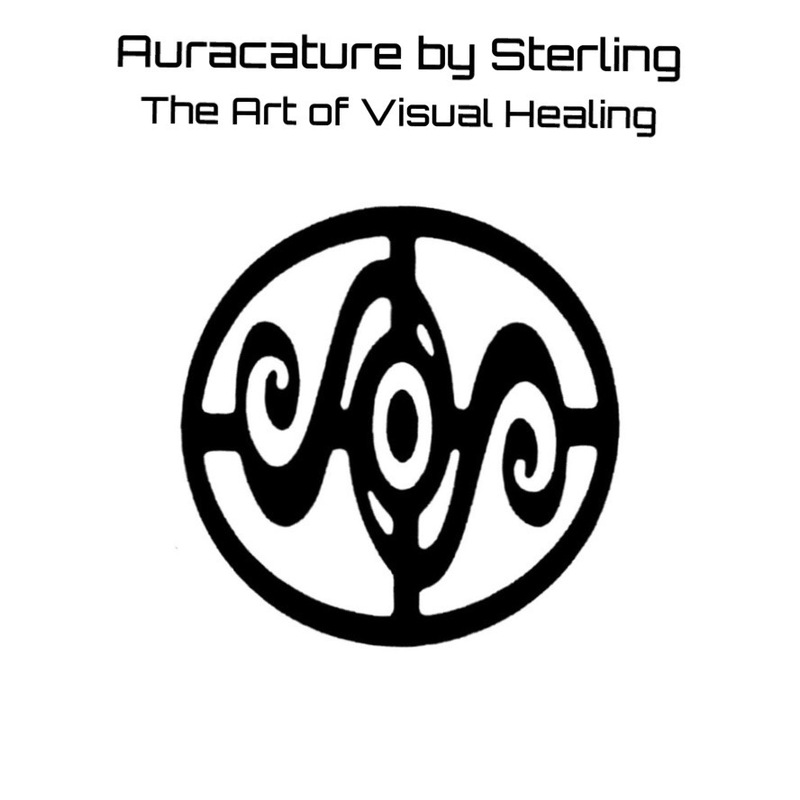 After 10 years since Auracature’s inception, Sterling continues to push and test the limits of Auracature art. He has moved from teaching Auracature as a psychic/intuitive medium to teaching Auracature as a communally healing medium. 3/ and investigating the healing function of memory and suggestion during Auracature creation. This is a really exciting time for communal Auracature development. 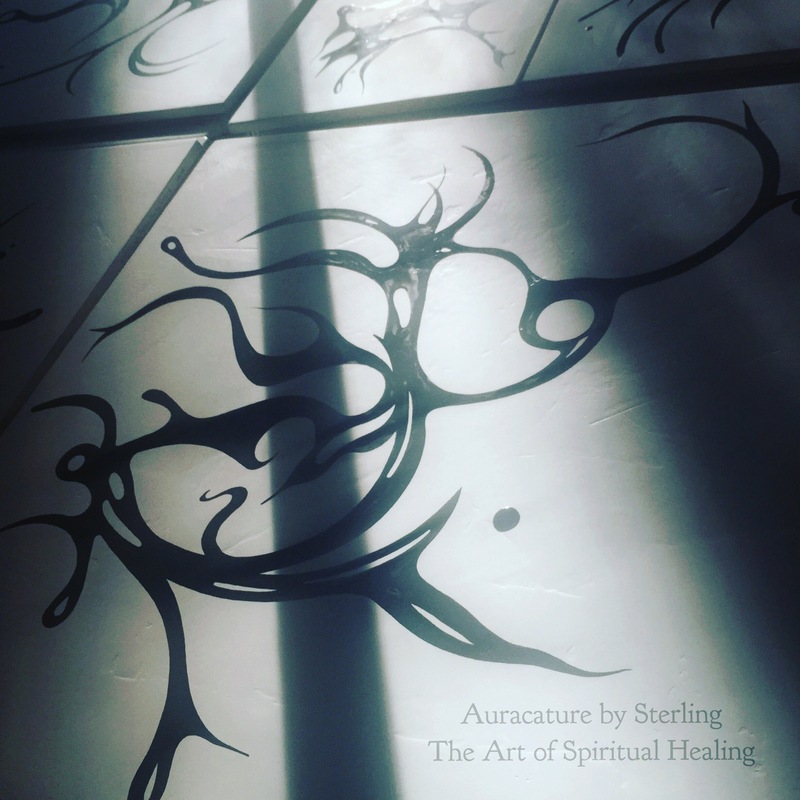 Sterling is honored to share this divinely inspired process with you. 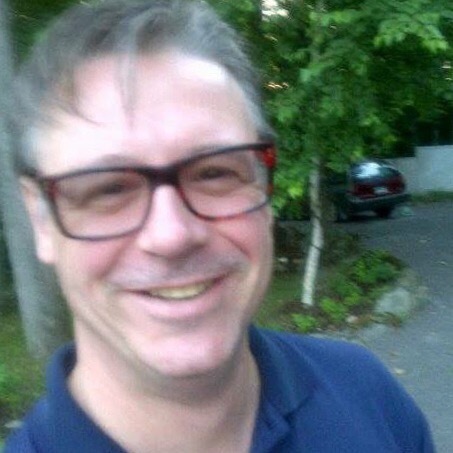 On February 14, 1967 in Trenton Ontario, Sterling Sinclair was born Arthur Richard Chapman to Linda LaFrance and Arthur Chapman is south eastern Ontario. 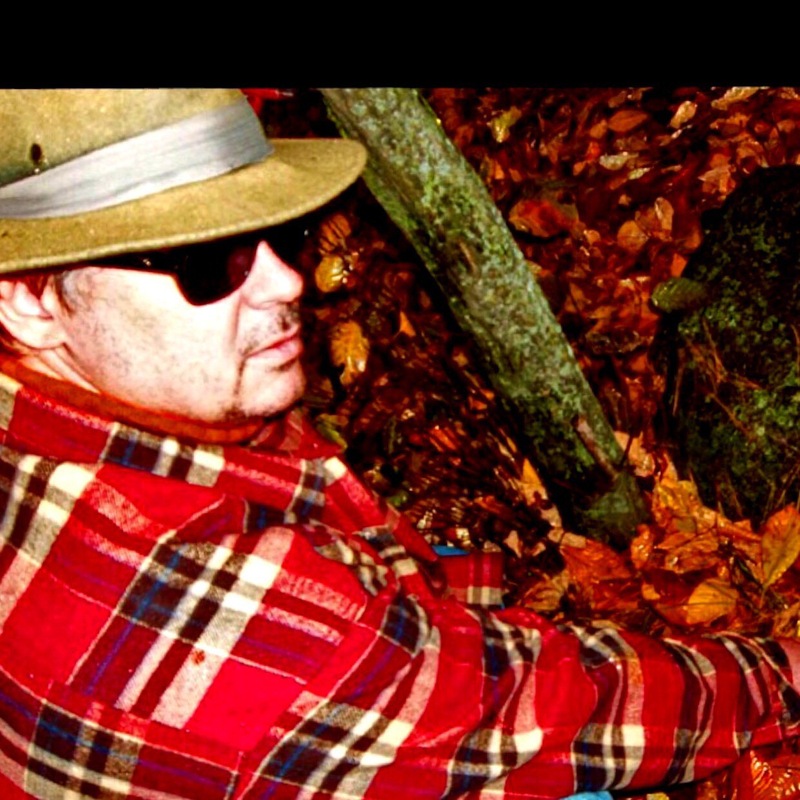 Earliest memories of Sterling as a child tell of Sterling seeing spirits, playing with them in the woods, and playing with his “imaginary German shepherd.” However, by the time he was 5 years old, he learned to keep to himself what he saw, smelled, tasted, felt, heard and sensed that other people claimed not to experience. His silence did not mean that his experiences stopped however. In order to deal with his silence, Sterling drew, painted, created visual art, acted and trained to be a religious Christian choral vocalist. He spent a lot of time doing his school work hoping to find answers to what his life was experiencing and spend as much extra time at his home church where he felt safe and could find moments of silence. By the time he was ten, he was very sensitive to his surroundings and had learned to be respectful of the “unseen.” He would quietly sit at a different seat at the supper table, walk a different path across the living room floor, and sometimes even quietly whisper to them to get out of his bed or move over at bedtime. When Sterling was 10 years old, he first met “God.” God was behind a tall red door flanked by two golden sentinels at the end of a long hallway. God was one particle moving so quickly that “God” formed a gold and blue sphere. Sterling was sucked into the sphere and then woke up in his dark basement bedroom. After that experience, Sterling could see particles moving rather than solids. He was also part of significant healing events. It wasn’t until grade 13 physics class that Sterling understood the particles that he was seeing. 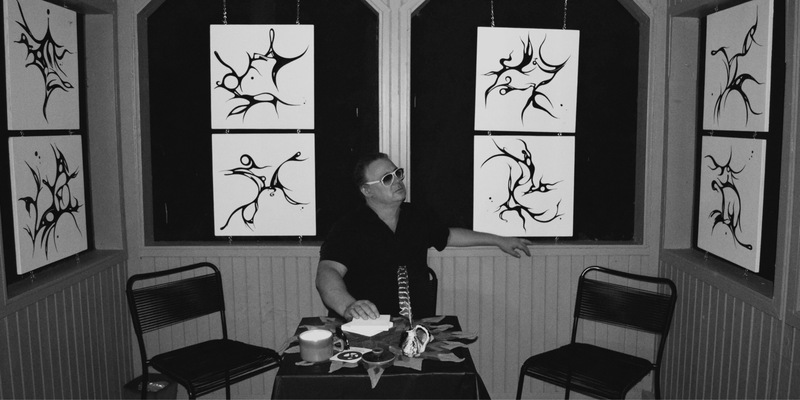 Sterling began selling his artwork at 15 years old. They were sketches of old houses and farms. He was fascinated with the darkened windows, doorways and shadows. His ability to capture nuances in light changes developed at an early age. However, in his late teens, his sensitivities became too strong and he could not concentrate. He describes going to a party with 20 people there and it feeling like 100 people because those 20 seen people brought “unseen” people, or so it seemed. When speaking with him about this, he says, “Now imagine going to a bar or dance club…” After failing to pharmacologically silence the “unseen, Sterling put everything into his career and he became a College Professor of Mathematics. At about 28 years old, after a tragic accident and near death experience which left Sterling without his professorship and abilities to commune and communicate with others, Sterling was forced to deal with the unseen noise once and for all. 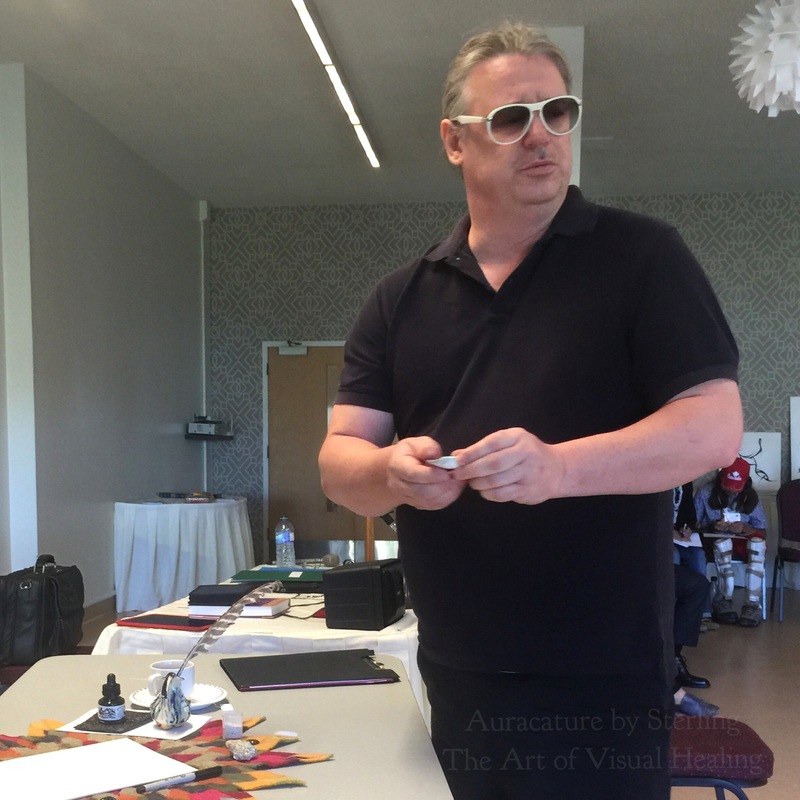 Through personal prayers of healing, accepting a faith healing experience and a reaffirmation of his baptismal vows, Sterling began to finally gain control of his abilities and his understandings of them. However, it wasn’t until he gave himself fully to “God” and asked for help did he truly moved forward. The next morning following the plea, a golden ball of light came through the window and sat on his chest. He began to glow and tingle and suddenly his clarity of sight returned. He could see the particles and the code again. A layer of the veil was lifted. In 1998, Sterling went back to school to study a Master of Divinity at the University of Toronto. Because of his positive life experience in the church, his faith healing experience, his childhood desire to become an exorcist, and his wonderful life-affirming experience as a youth pastor combined with Sterling’s quest to understand the “unseen” and to fulfill his given mission, Sterling went back to school to become a Christian congregational minister. After completion of his Master of Divinity and a few years of congregational leadership, Sterling decided that ministry within an organized religion was not fulfilling his mission. Sterling had great difficulty doing pastoral visits when the congregant would say that they wished their passed loved ones were still there with them and he would not be able to respond, “Well, he is sitting at the table with us.” Also, the “unseen” would join in church services and although it was physically palpable, Sterling would continue the service without mention (well most of the time). There were times when he felt the truth as he saw it should have been told, but wasn’t. Sterling had to find another way. 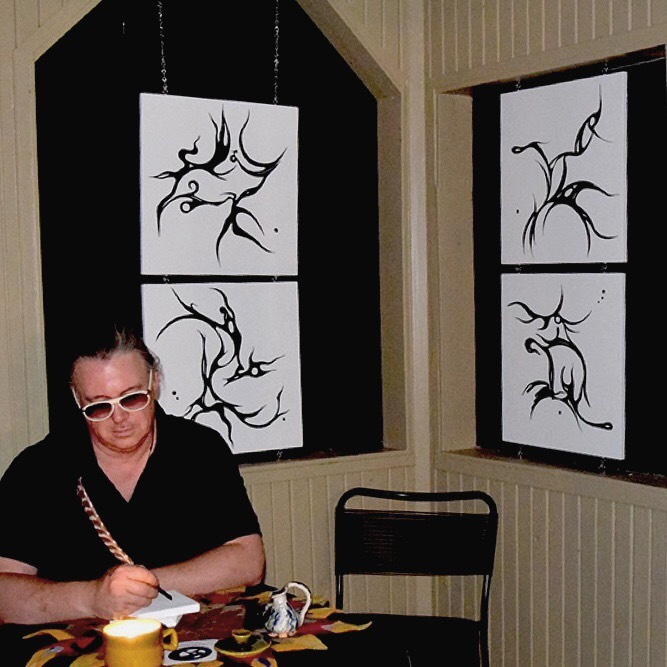 Then in the early-mid 2000s, Sterling began having sudden “blackout” spells and when coming out of those spells he began drawing and writing things as his hands flicked. His partner would place a pencil in his hand and hold a book or paper and on the first experience, Sterling wrote more than one page, from right to left, the repeating word, “Isaiah,” in Hebrew script. The next night, he drew star patterns. As the next few years passed, Sterling had written pages after pages of prophecies and information about the unseen and the afterlife. It appeared, the information and the unseen were going to be heard whether Sterling tried to control it or not. 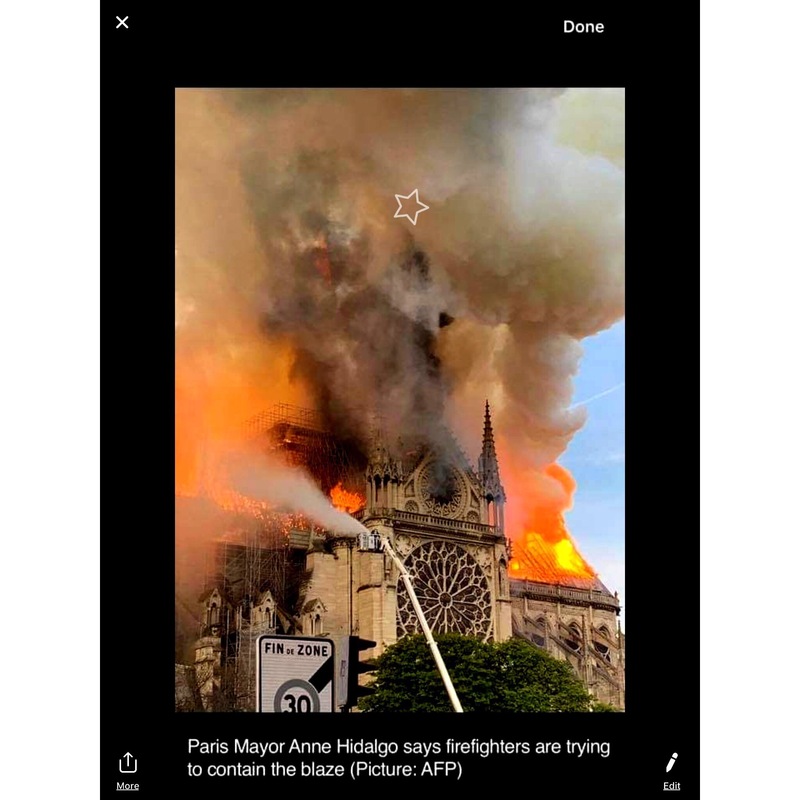 Then in one week, the originals, the computer files and the hard copies were all suddenly and mysteriously lost or destroyed (they were in different locations being held by other unrelated parties at the time). 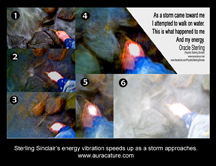 Two months after Sterling was given 6 months to live due to a deteriorating heart-brain-nervous system issue, he witnessed a UFO event and within 2 weeks the first image (now known as an Auracature) was recorded. Following the recording of the first image, Sterling witnessed 7 miracles within a 3 week span of time. On a day in October of 2007, Sterling felt an urge to sit down and draw a picture. Upon drawing it, he knew something bad had happened in his family. The next morning, Sterling received a phone call from his sister saying that their brother was possibly going to die or at least have his leg removed because he had been in a motor vehicle accident the day before (around the time of the picture being drawn). Sterling went to the hospital and to keep his mind clear, he continued to draw in the waiting room. What was noticed by the ICU nurses was that his pictures were corresponding with his brother’s condition (like when the picture finally showed an open eye, it was at that time that his brother finally opened his eye too). 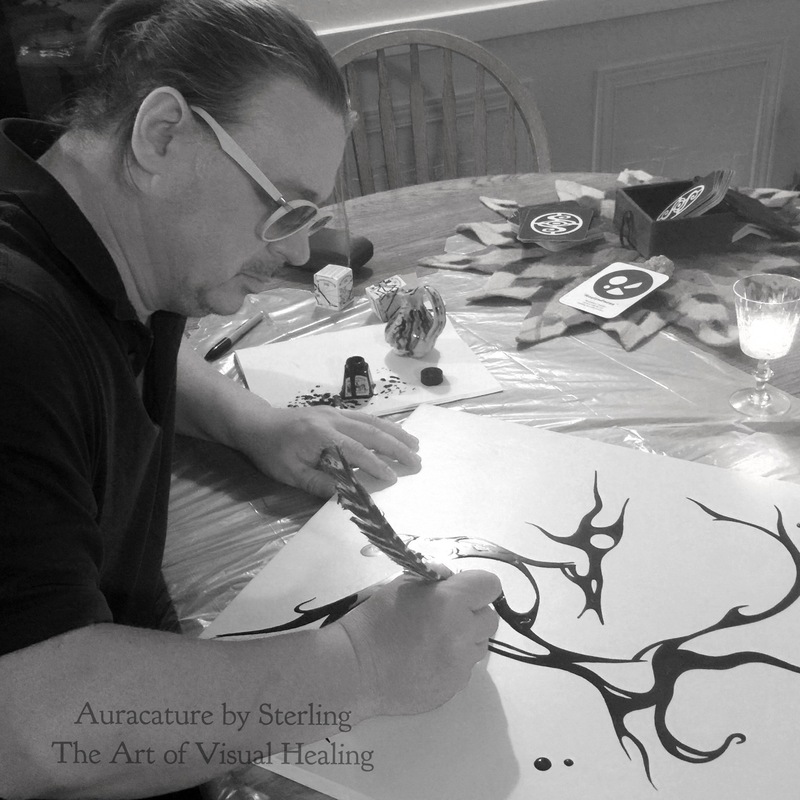 This experience and the UFO landing experience were the catalysts of a new art form, Intuitive Graphic Impressionism, coined by Sterling as “Auracatures.” Auracatures have become both collected visual art pieces and communication devices/modalities for the “unseen” and the “seen.” Since they have found their voice, Sterling has helped people around the globe with the information they provide and the environmental conditioning that they are believed to facilitate. 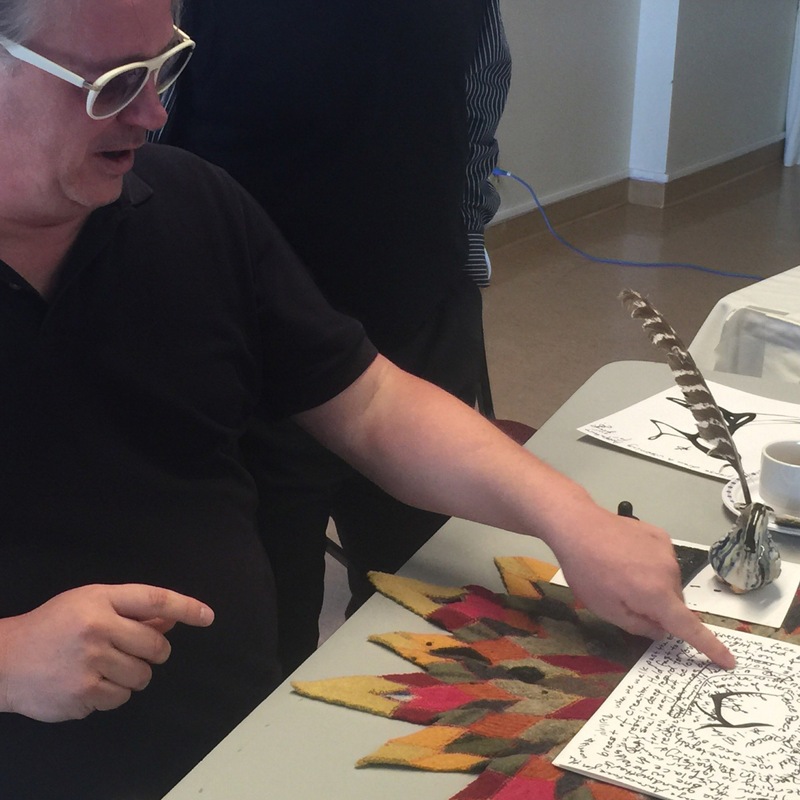 After the 600th Auracature was drawn, Sterling had an aha moment while drawing at a fair. It finally hit him that he was drawing similar shapes for similar people. This gave birth to his Spirit-Type personality profile. Each person has a spirit and the spirit has a particular signature that is accompanied a set of characteristics. Since they began, Sterling has drawn and assessed several thousand Spirit-Type lines with a high degree of accuracy. Now, all he requires is the name of the person (no need for an item, a picture or even to have met the person) to draw the Spirit-Type. The accuracy of delicate nuances and life experiences/conditions increases, however, when sitting with the person being drawn. Sterling Sinclair has been offering professional psychic services since September 2008. During this time, he has read for people from around the world. 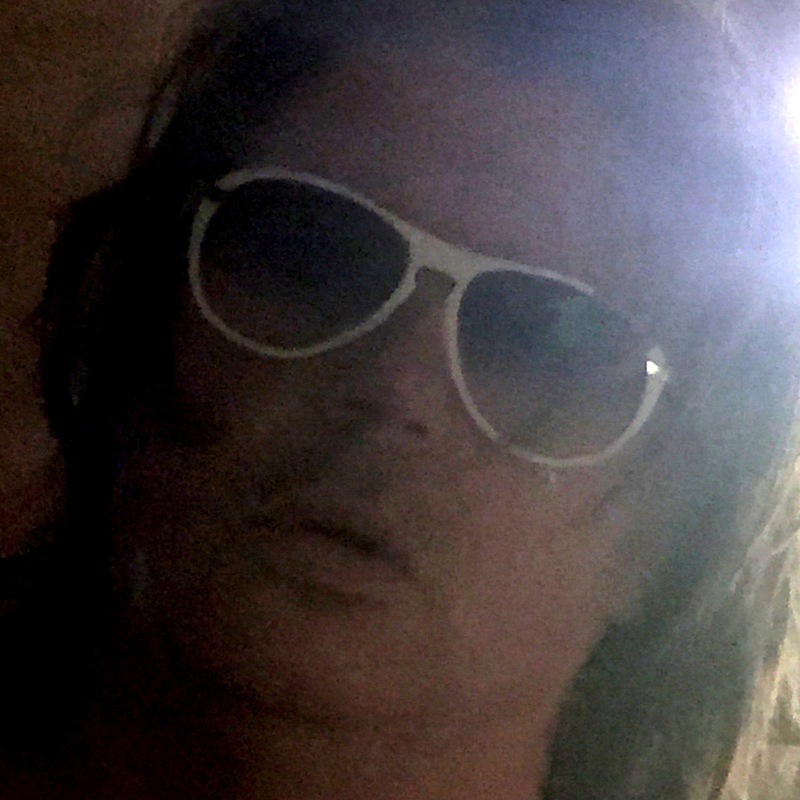 Many developments have come in that time which include a channeled dictionary of spirit-lines, channeled messages, a book in progress, involvement with paranormal communities, meeting fairies, dramatic lows fostered by brief missing persons cases, and the creation of his channeled card deck. 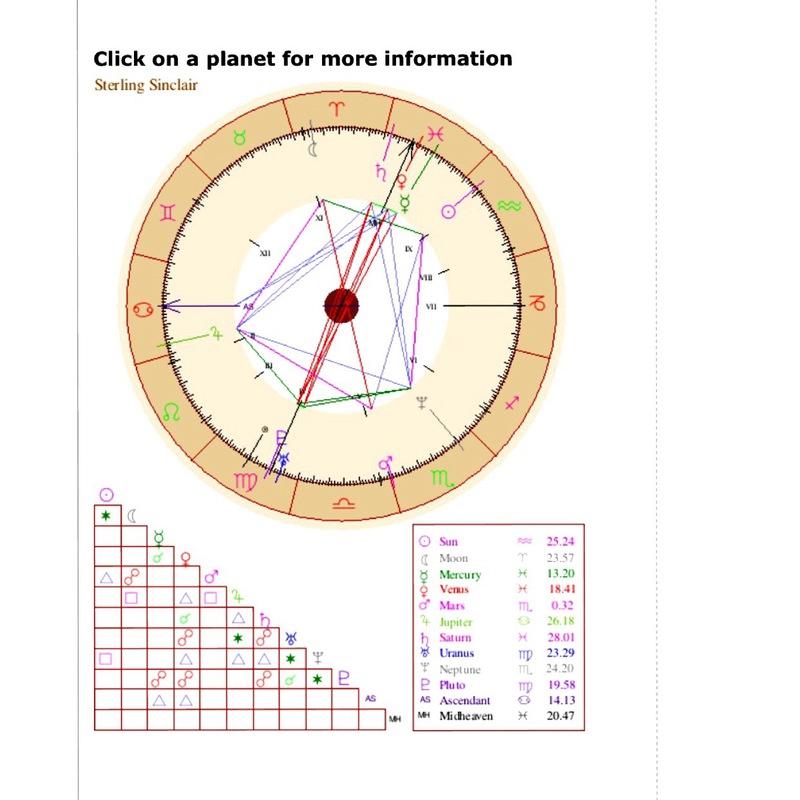 However the most significant development happened during the ascension month of December 2012. Since then, his sight has changed and his sensitivities have grown stronger and more refined. 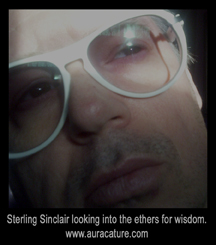 The ascension shift triggered Sterling’s re-identification of himself and his gifts. He never felt that he was a psychic even though he was using psychic skills in his profession. Through much research and channellings, Sterling came to accept his place as an Oracle. For many years, Sterling had clients agree with him that what he was doing was not the practice of a psychic but no one could come up with a better descriptor. Once he was directed to understanding himself as an Oracle he grew to further embrace his purpose. 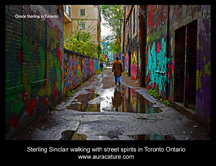 During the third week of August 2014, Sterling was aligned with a series of living and passed people, many seemingly not connected. Each person represented keys to his further awakening. Within a couple weeks, he was receiving information at a vastly more rapid pace and his ability to see was through the Universe streams of information that he calls particles of gold sent from SOURCE (the eternal, highest Creator God or Universal God Program Code Creator). This awakening has contributed toward his thesis on memory and how we communally exist in the universe. No matter how many different ways one can describe Sterling, it is a commonly shared that Sterling Sinclair is “One of Kind.” If you ask Sterling to describe all other people, he’d say “We are all One of a Kind. That is why we must celebrate who we are!” Sterling truly believes that we are all different, one of a kind, special, gifted, and manifested to mutually contribute within a symbiotic community that spans time, space, dimension and perception. 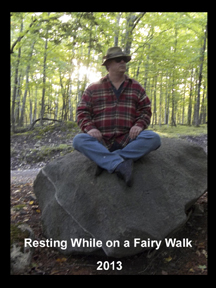 As an Oracle, Sterling is a spiritual guide and life path traveling companion. Where many other alternative healthcare providers primarily care for your body, Sterling works with you to expand your mind. Sterling was once told by “God,” “Go barefoot into the world, reach out your hands and with open arms Guide People Home.” To Sterling this means to first celebrate and embrace who we truly are. We are all special.